Suzanne Collins writes for children’s television. She has worked on the staffs of several Nickelodeon shows, including the Emmy-nominated hit Clarissa Explains it All and The Mystery Files of Shelby Woo. She lives in Connecticut with her family. Learn more at Suzanne Collins’ website. 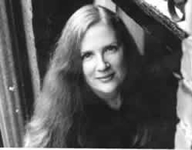 CLICK HERE FOR A FEW MORE TITLES BY SUZANNE COLLINS. The Underland Chronicles — (2003-2007) Ages 9-12. Publisher: When Gregor falls through a grate in the laundry room of his apartment building, he hurtles into the dark Underland, where spiders, rats, cockroaches coexist uneasily with humans. This world is on the brink of war, and Gregor’s arrival is no accident. A prophecy foretells that Gregor has a role to play in the Underland’s uncertain future. Gregor wants no part of it — until he realizes it’s the only way to solve the mystery of his father’s disappearance. Reluctantly, Gregor embarks on a dangerous adventure that will change both him and the Underland forever. Available for download at Audible.com. 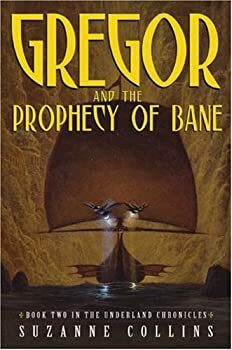 The Prophecy of Bane continues the strengths displayed in Suzanne Collins' first book in the series, Gregor the Overlander. The book moves along quickly and smoothly with few if any slow spots; the major characters, if not minutely detailed, have enough personality and reality to hold one's interest and concern; and the setting, which as in the first is probably the weakest element in terms of vividness, is at least interesting enough in general terms so that its lack of detail is not much of a flaw. 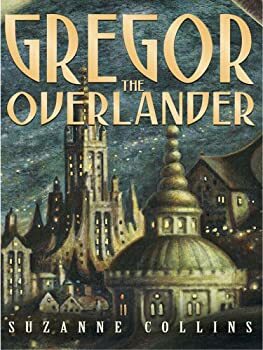 The third book in the Gregor series picks up shortly after the last one ends and quickly tosses the reader into familiar territory. Once again, Gregor takes up a task underground in order to save a family member. In the first book it was his father, in book two his sister Boots, and now it's his mother, who in accompanying him down to the underground contracted a seemingly fatal disease that threatens to wipe out the warmbloods. 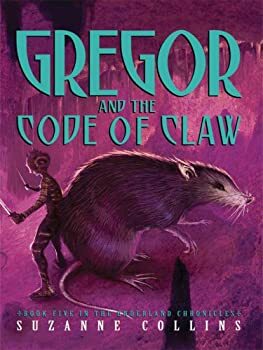 As foretold by a prophecy (another familiar element from the other books), Gregor joins a group made up of rats, crawlers, humans, and bats who have put aside (somewhat) their hatred for each other to seek the cure to this plague that strikes them all. The quest will take them deep into a dangerous forest, the only place where the plant that supposedly holds the cure grows. 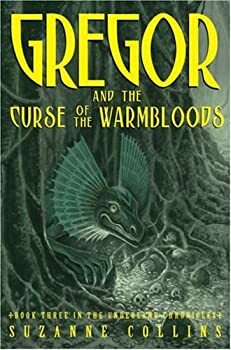 This is the fifth and series-ending (I shy from ever using the word “final” with regard to fantasy nowadays) book in the Gregor series, one of the most original and powerful young adult fantasy series now in recent years. It is not a standalone book, so if you haven’t read the first four, you should start. Assuming you have, however, how does Code stack up? The Hunger Games — (2008-2010) Young Adult. 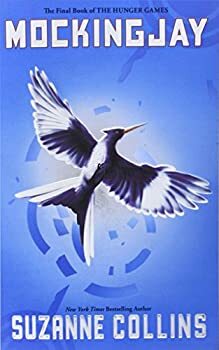 Publisher: Katniss is a 16-year-old girl living with her mother and younger sister in the poorest district of Panem, the remains of what used be the United States. Long ago the districts waged war on the Capitol and were defeated. As part of the surrender terms, each district agreed to send one boy and one girl to appear in an annual televised event called, “The Hunger Games.” The terrain, rules, and level of audience participation may change but one thing is constant: kill or be killed. When Kat’s sister is chosen by lottery, Kat steps up to go in her place. Suzanne Collins has already proven her talent for storytelling with her recently completed Gregor the Underlander series. In that series, she showed she was able to create strong characters, move plot along quickly, deftly control the rise and fall in tension, and create moving scenes. While there were some weak sections in the series (sometimes the pace moved too quickly, settings often could have been more detailed, and a few characters could have been more richly drawn), by the end she had crafted one of the best YA series to hit the shelves the past few years — a thoughtful, often dark, almost always rewarding series. 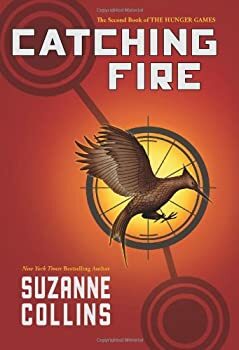 One of last year’s best, most compelling reads was Suzanne Collins’ dystopic The Hunger Games, in which a group of young boys and girls are sent into a large geographic area for a kill-or-be-killed TV spectacle — a sort of Running Man meets Lord of the Flies meets Survivor meets The Lottery. 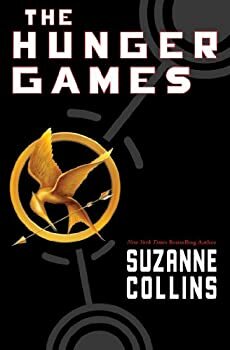 The book, carried along winningly by the strong main character Katniss, was suspenseful, poignant, and often breathless, ending with a clear resolution but with an obvious nod toward a sequel. That sequel is Catching Fire, and while it’s not as good as The Hunger Games, nor as breathlessly compelling (both tough standards to equal), it’s a strong follow-up. OK, HUNGER GAMES fans, you’ve been waiting a year for this book, and the last thing you want is some @#$% reviewer spoiling the plot. So, I will do my best to give my impressions of Mockingjay with as few spoilers as possible. When a series becomes this popular and sparks this much speculation among readers, the author’s task is extremely difficult. How to surprise a fanbase, when that fanbase has spent many months trying to guess what will happen in the final installment (and almost certainly guessed right on a few counts)? Yet Suzanne Collins succeeds admirably. There are plenty of twists in Mockingjay that I simply never saw coming, and there are other aspects of the plot that I partially guessed but that didn’t play out quite the way I thought they would.